Mr. Lordan serves as Senior Vice President of Asset Management for Welltower Inc. (NYSE: HCN), a $42 billion, S&P 500 healthcare infrastructure company headquartered in Toledo, Ohio. In this role, he oversees performance of the Company’s healthcare real estate portfolio at the asset and relationship level by creating strategies to increase revenue, reduce costs, and identify operating performance risk. Mr. Lordan is a member of the Company’s Investment Committee, responsible for approving all investments and dispositions. He also serves as a director of certain domestic and international joint venture boards. 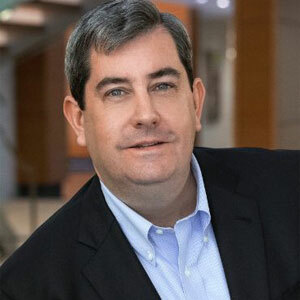 Prior to joining Welltower in 2014, Mr. Lordan was Senior Vice President, Asset Management for Starwood Retail Partners. He also served as Senior Vice President, Funds Management at DDR Corp. for six years. At DDR, he was responsible for management of the Company’s institutional investment funds and joint ventures. Mr. Lordan also served in the corporate finance group of The Rouse Company, where he was Vice President and Director, Investor Relations, and at KPMG, where he specialized in the commercial real estate industry. Mr. Lordan is a certified public accountant and is a member of the American Institute of Certified Public Accountants and the Ohio Society of CPAs. He holds a Bachelor of Science in Accounting from Mount Saint Mary’s University. He is past Treasure and Director of the Arc of Howard County, Maryland, Inc. He was also a Trustee of The Columbia Foundation, and Chairman of its Finance Committee. He coached lacrosse for five years in Chagrin Falls, Ohio, where he resides with his wife, Christina, and their five children.